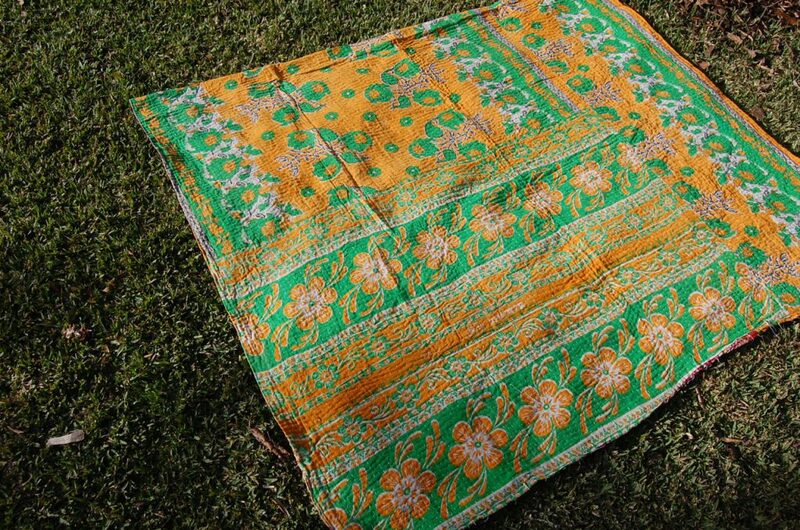 KARMA is bursting with colour – orange and green floral saree and a section of fine red and gold print. 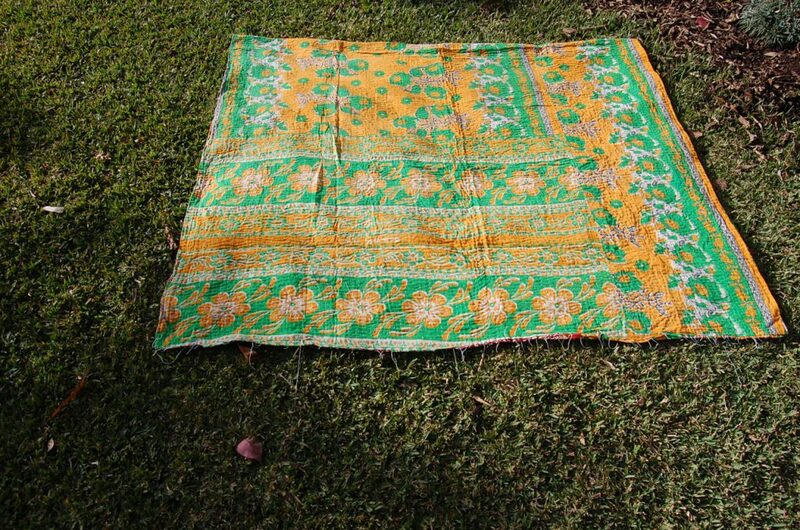 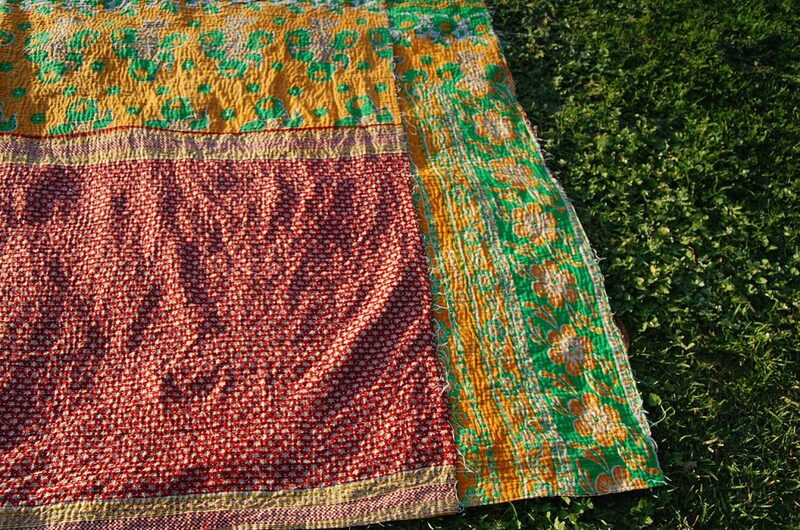 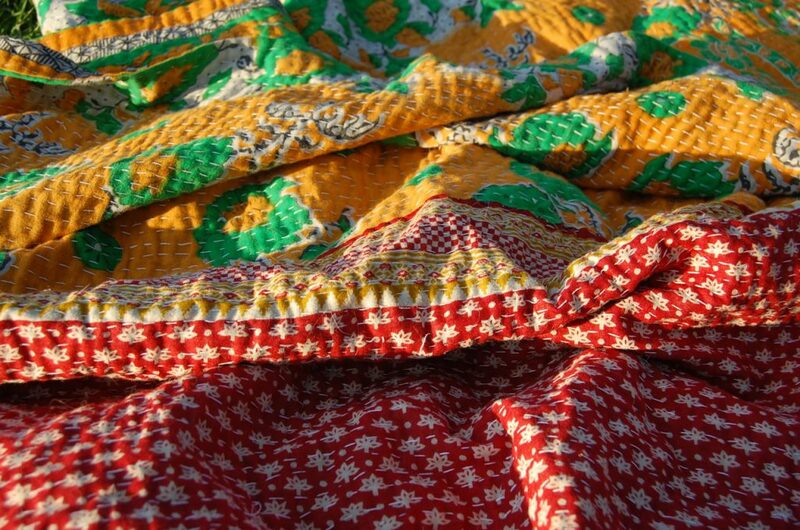 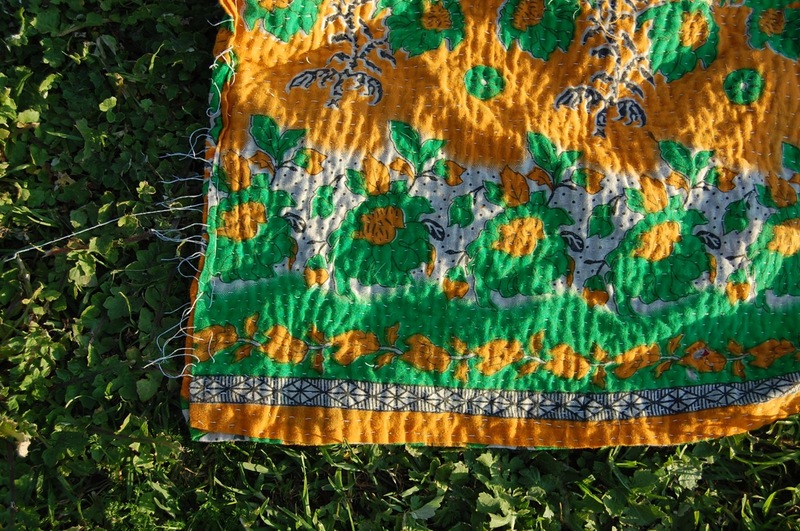 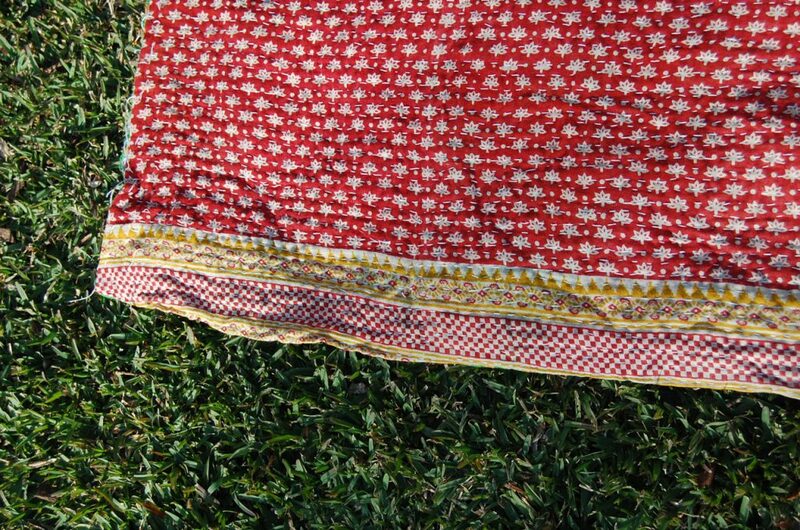 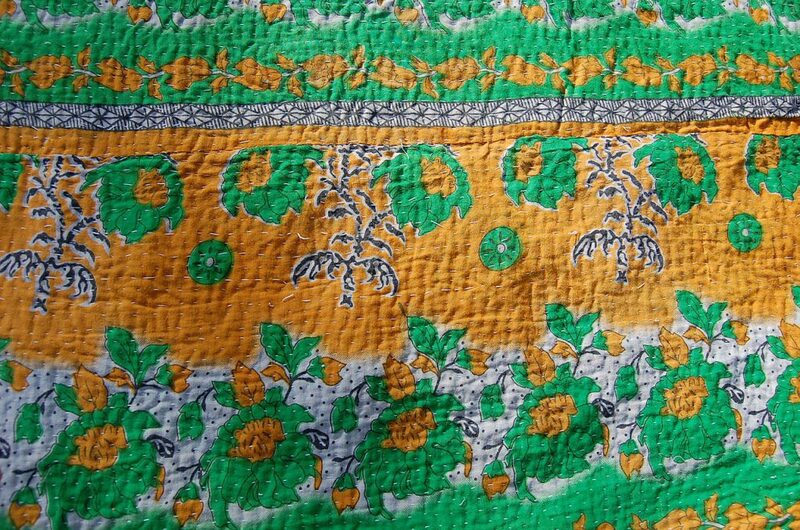 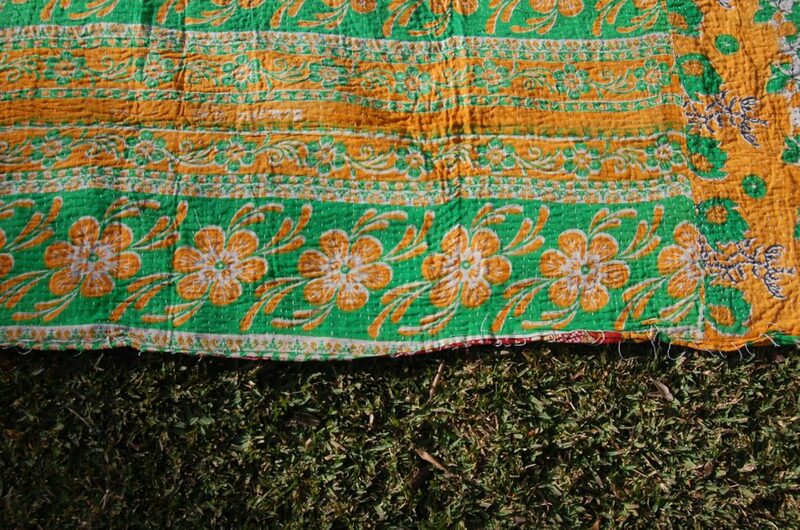 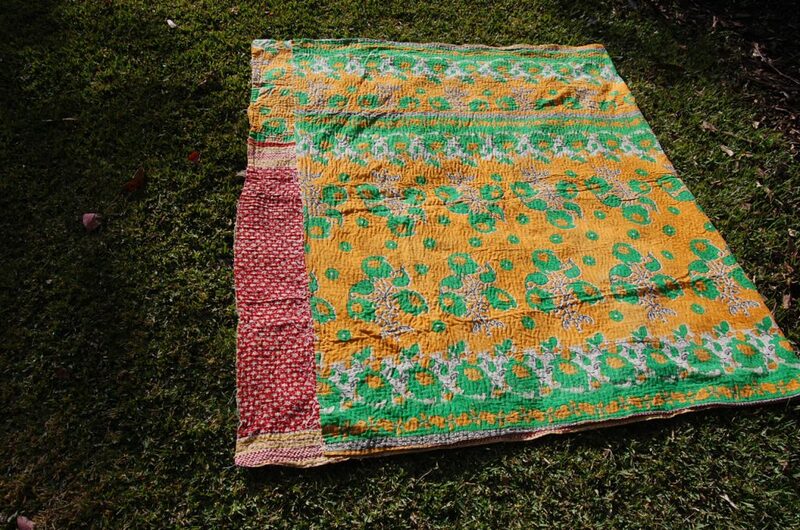 It’s a refreshing, bright & happy vintage kantha throw – perfect for lighting up a space as a throw for the bedroom or living room, using as a picnic rug or floor mat, in the kid’s room, a bedspread, tablecloth, even for the beach. 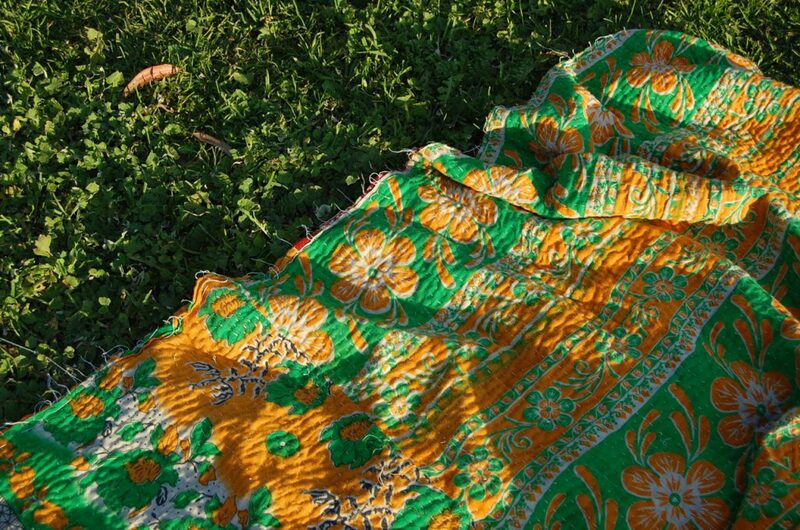 Where ever you take her, she’ll be brightening, adding colour and spicing up the mood, with her antique and unique Indian beauty. 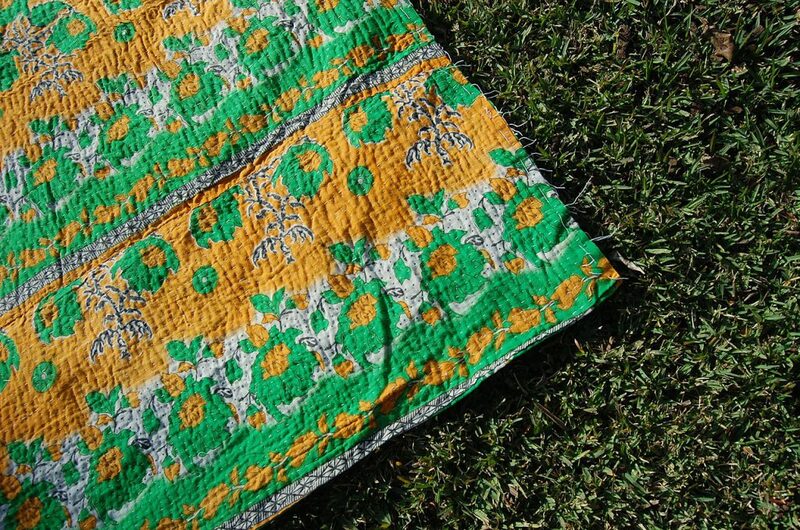 Shop this quilt here. 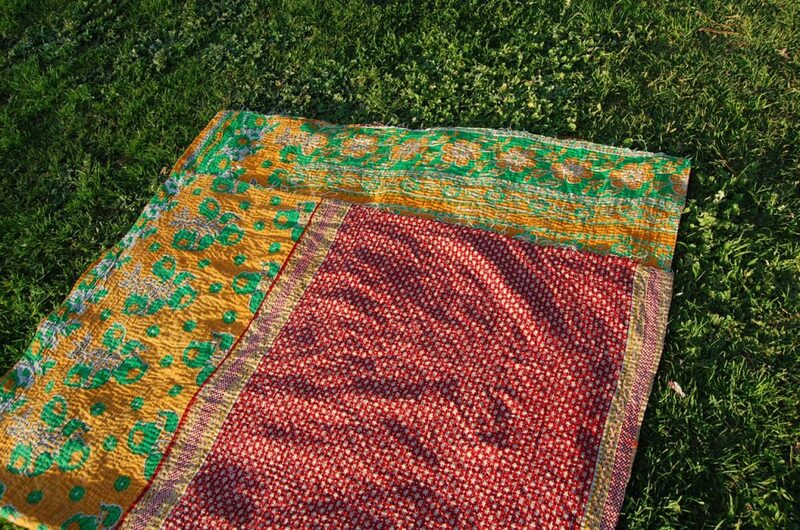 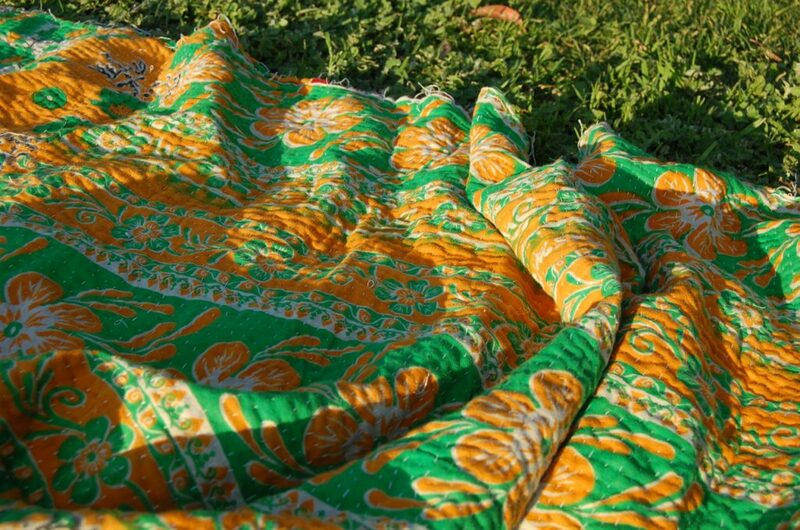 Also available as a Kantha Pack ~ save $20.